Home / Android / How to Fix Google Play Error 504? A modern Android smartphone has no purpose without apps from the marketplace. If you can’t download your favorite social, productivity or entertainment apps, it becomes just an advanced feature phone with a big screen and camera. One of the reasons you can’t download an application from the Google Play Store may be Error 504. When you try to get something from Store but instead of the app you get message Unknown error code during application installation: -504. Here is how to fix this error. There is a lack of information regarding Error -504. Google does not provide any meaningful explanation; thus, users have to figure out how to fix Google Play Store error 504 on their own. Most of the time the root of this error lays down in the connection between your device and Play Store servers. This means you should try your luck fixing error 504 with the connection troubleshooting. As usual, we recommend you begin with simple steps. Error 504 may be a result of a simple bug. How to Fix Unknown Error Code 504 During Application Installation? Turn off your phone and turn it back on in a minute or two. Just like we said above, this can be a simple bug and restarting your device may help. Next, check whether the smartphone or tablet date and time settings are correct. Navigate to the Settings and open System > Date & time. 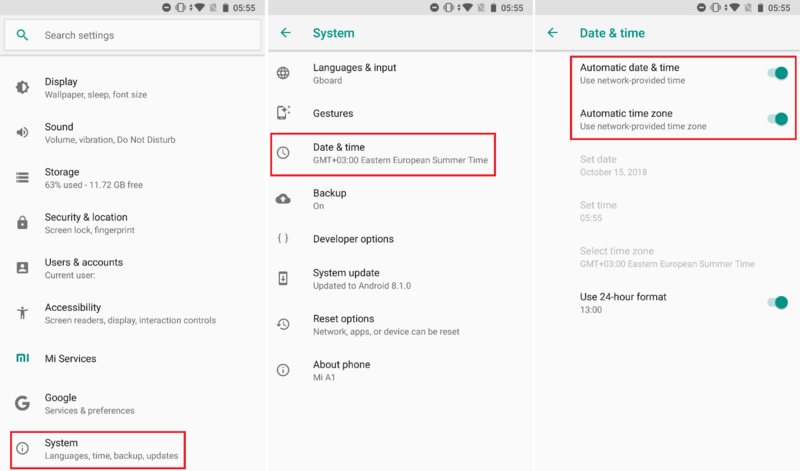 Disable automatic date and time settings and set date, time and time zone manually. Make sure you have set up correct date and time. Most of the time connection errors are caused by the incorrect date and time. 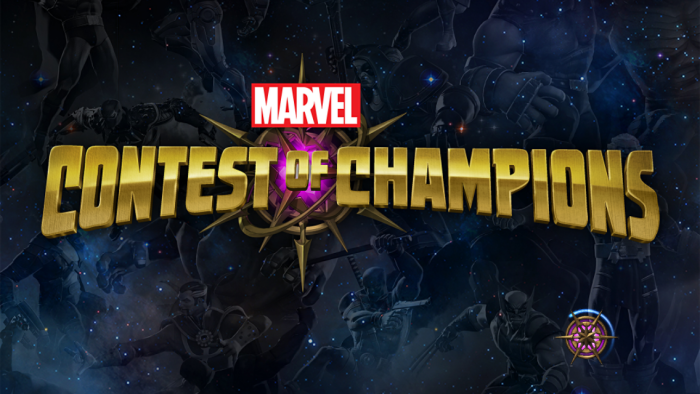 Restart your device, open Google Play Store and try again. If that did not work, you need to check your Internet connection. Connect to a different Wi-Fi or switch to the cellular. Alternatively, try to use VPN. Since you can’t download any app from the Play Store because of the error 504, we recommend getting a VPN apk-file from the reliable source (appkmirror.com) and installing it manually. Connect to the VPN and try to download an app again. 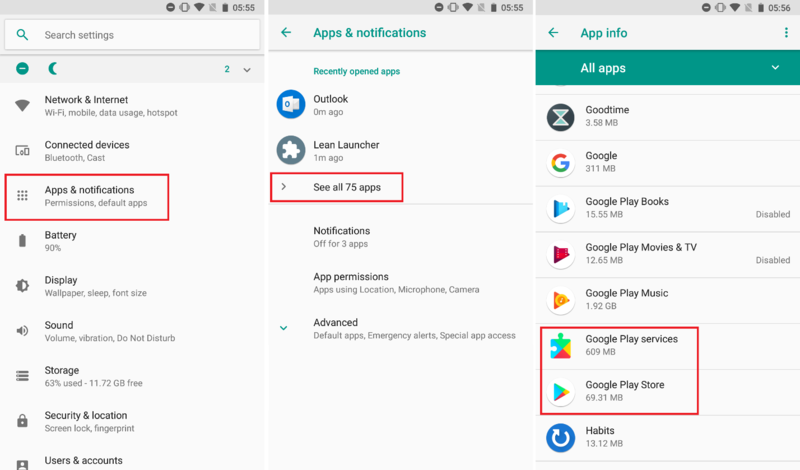 Clear Google Play Store and Google Play Services cache and data. You will find these options in the Apps settings. Locate Google Play Services and Google Play Store in your app list and tap Storage. Press Clear data and Clear cache for both. 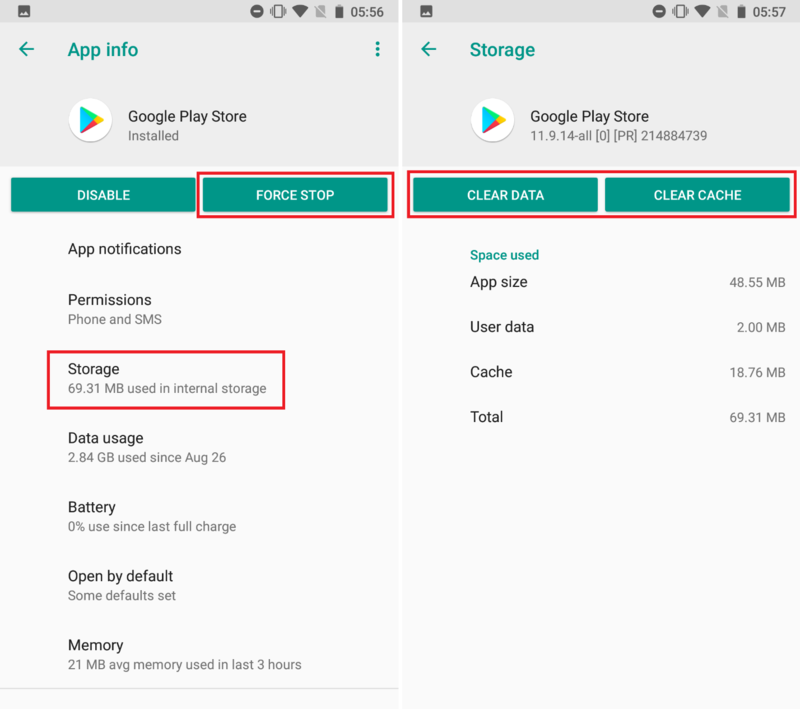 If Error 504 appears only with a specific app (other apps from Google Play Store are downloading perfectly fine), you should check device storage and make sure it has enough space to install the app. Your smartphone needs additional free space in order to operate properly. You won’t be able to install 50 MB app if there is only 60 MB left, for example. Delete some data or move some apps to the memory card. If the memory card is set as a default storage, set it back to the internal device memory. You should also move an app to the device memory if you are getting error 504 during the update process. If that did not help either, reset your smartphone. Didn’t work for my device and tried all 4 steps . What else can I try. If you have tried all the methods and still unable to fix the issue., then you should Reset your Android Device..
Go to : Settings –> Privacy –> Factory data reset –> Erase Everything.. This will surely Fix this issue. Make sure before resetting your Device, create a backup and then perform the reset..
Hi Aman, I have tried all above, still i unable to fix the issue. Pls help me out. I am also facing some issues with Honor6. Yesterday, my phone got reset on its own and I am now not able to install WhatsApp. With APK, I’m getting message “Not Installed”, whereas with Playstore, getting -504 error. I have received similar errors for other apps, but in second try, they got installed properly whereas WhatsApp is refused to come up. I have deleted the WhatsApp folder on internal/external storages, restarted phones, still no avail.